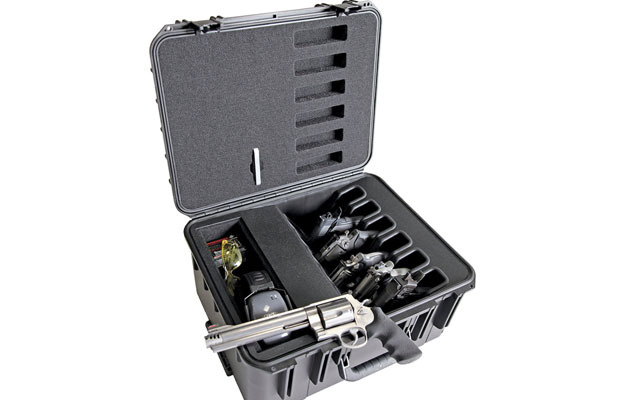 CaseCruzer is feeling lucky with the new Magnum 6 Pack Shooting Range Handgun Case. This tough, no-nonsense carrying case would even make Police Detective “Dirty Harry” Callahan proud. It responds to the cold, cruel world of hard knocks by protecting the biggest, heaviest and most powerful double-action revolver in the world — Smith & Wesson Magnum 500. Too bad Harry isn’t an avid sportsman who loves target shooting and big game hunting. 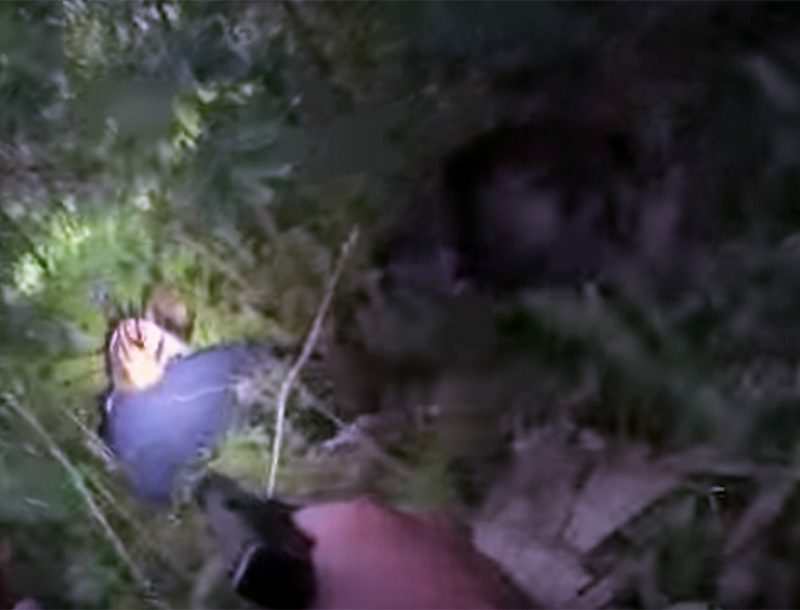 He could roll with six long-barrel handguns (4.0″ to 8.50″), all safely stored in quick-draw position. The innovative design not only fits the Smith & Wesson 500, it also welcomes X-Frame revolvers, semi-automatics like the Desert Eagle, and full-sized autoloader handguns. Yet there is still room for a 13″ x 4″ x 4″ accessories compartment for ear muffs, safety glasses, ammo, and other essentials. If Harry adds to his handgun collection, that’s okay. 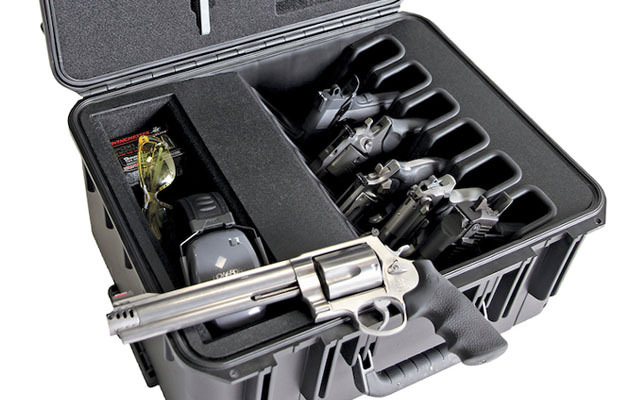 The Magnum 6 Pack gun case can accommodate other popular models. 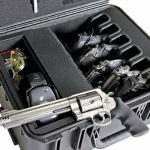 The rugged versatility of the Magnum 6 Pack Shooting Range Handgun Case will make Harry’s day because it is fitted with embedded wheels and a sturdy pull-out handle. Zipping through airports (check-in only), trade shows and sportsman clubs is a breeze. Steel flanges allow this reusable transport solution to be padlocked for security. 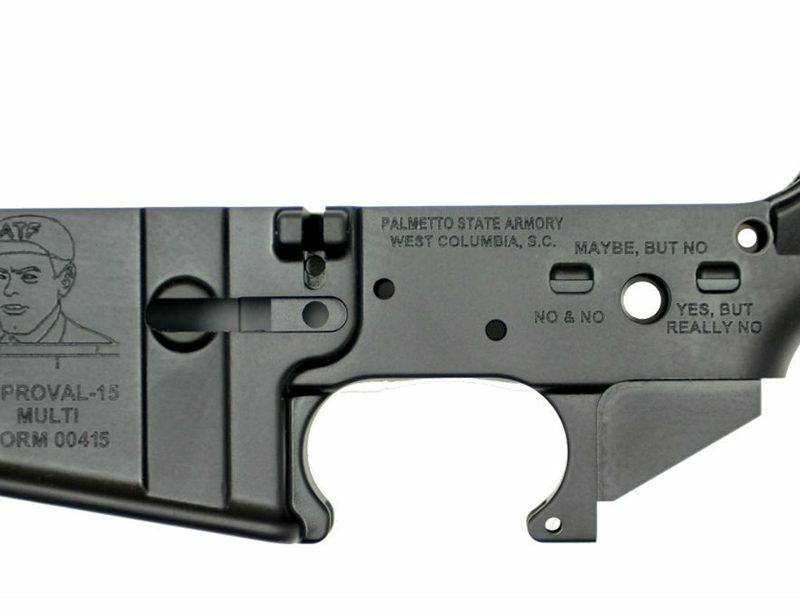 And the unconditional lifetime guarantee means this injection-molded, water tight, dust tight, and virtually indestructible gun case will always serve and protect. Feel lucky? Every CaseCruzer product can take all the beatings and smashings that are an inevitable part of travel. “But we’re particularly proud of the Magnum 6 pack, and believe Dirty Harry would approve. 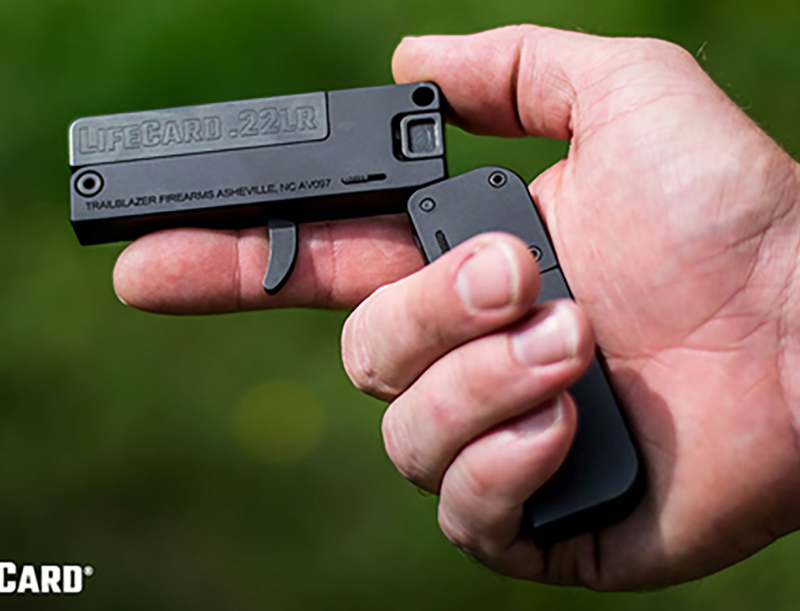 Target shooters and hunters can take large caliber revolvers into the field without having to worry about damaging solvents, or the impact, shock and vibration that may damage valuable handguns,” says Tatiana Briceno, CaseCruzer marketing director. The Magnum 6 Pack Shooting Range Handgun Case (once a figment of imagination) has been at the top of wish lists for many years. 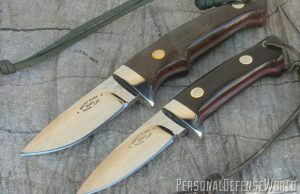 Hunters knew they would need a uniquely durable and protective case if they wished to carry the Smith & Wesson Model 500, whose.50-caliber cartridge was made to take on any type of game anywhere in the world. But there is no need to trek into the wilds. 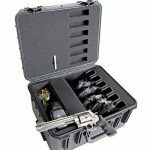 The Magnum 6 Pack is a manly shooting range case that sends a message: one-of-a-kind big-barrel and large-caliber handguns live here. Casecruzer.com.